A number of popular vegetables like cold weather and can be harvested in fall or even through winter in milder areas, or with the help of season-extending features such as cold frames and cloches where winters are harsher. Here are some top picks for cool-season crops. These buttery, versatile beans are a rich source of B vitamins, as well as important minerals such as magnesium and iron. They are also very high in health-promoting fiber. 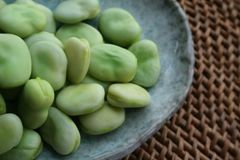 Broad beans are easy to grow. They like full sun but also cooler temperatures. In areas with relatively mild winters, they can be planted in the fall to harvest during winter or early spring. Many other varieties of beans can be planted up until mid-summer for fall and winter harvests as well. Broccoli, another cool-weather-loving plant, is a nutritional powerhouse, with a single stalk providing approximately 1,300 IU of beta carotene, 75 mg of vitamin C, 5 grams of dietary fiber, 3 grams of protein, and just 40 calories. Broccoli grows well in fall and can even produce winter harvests as long as temperatures stay within its preferred range of 20-80 degrees Fahrenheit. For a late fall harvest, plant as late as mid-July (or transplant seedlings as late as mid-August). 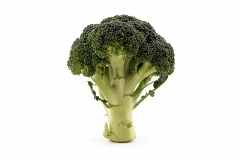 Broccoli reaches maturity in 40-90 days, depending on the type and growing conditions. There are also varieties of broccoli that are suited to overwintering. These can be planted in July for a spring harvest to provide some early fresh vegetables. Delicious drenched in sweet glazes or under savoury cheese sauces, Brussels sprouts provide many health benefits. For example, The George Mateljan Foundation lists evidence suggesting that Brussels sprouts may reduce the risk of cancer and heart disease and protect against inflammatory diseases. 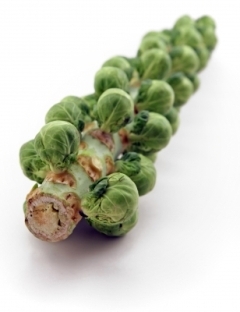 Sow Brussels sprouts in July for a good fall crop. In areas where winters are relatively mild, these plants will continue to produce until mid-winter. A rich source of antioxidants, including vitamin C, cauliflower is a cruciferous vegetable that can enhance any healthy diet. The florets can be sautéed in vegetable or chicken broth (and optionally, a little turmeric) for a healthy side dish, and the stems and leaves make a nice addition to soups. Transplant cauliflower seedlings to the garden by August 1 (starting with seedlings rather than direct sowing in the garden is recommended). 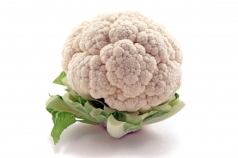 Some varieties of cauliflower are particularly well-suited to fall crops. Ask your local garden center for a recommendation. There are also overwintering varieties that you can plant at the same time for a spring harvest. A rich source of health-protecting antioxidants, peas are very easy to grow and prefer cool weather. As an added benefit, they introduce nitrogen to the soil, enriching it for other vegetable crops in the future. 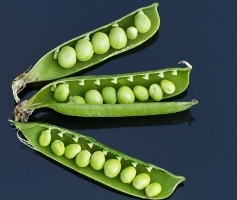 Plant peas during the summer for a fall harvest, or during fall (or even winter in milder climates or with the support of cloches or greenhouses) for a spring or early summer harvest. Peas are very tolerant of cold weather and even snow. Some varieties of peas do better in wintertime. Ask your local garden center to make a recommendation for your region. Root vegetables tend to thrive in cooler temperatures. See the Root Vegetables page for produce that you can grow for fall and winter harvests. Many leafy vegetables can be harvested throughout the winter. Visit the Winter Leafy Vegetables page for profiles and photos. Dowding, C. (2008). Salad Leaves for All Seasons: Organic Growing from Pot to Plot. Devon, UK: Green Books Ltd.
George Mateljan Foundation, The World’s Healthiest Foods. (2011). “Brussels Sprouts,” “Cauliflower,” and “Green Peas.” WHFoods.com. Lalevich, S., RD. “Fava Beans Nutritional Information.” Livestrong.com. University of Illinois Extension. (2011). “Cauliflower.” Urbanext.Illinois.edu. Washington State University. (n.d.). “Fall and Winter Vegetable Gardens.” Gardening.WSU.edu. West Coast Seeds. (2011). “Vegetable Seeds.” WestCoastSeeds.com.